English musical composer, the most illustrious of a family of musicians all more or less able. We know of at least three generations, for Orlando's father, William Gibbons, having been one of the waits of Cambridge, may be assumed to have acquired some proficiency in the art. His three sons and at least one of his grandsons inherited and further developed his talent. The eldest, Edward, was made bachelor of music at Cambridge, and successively held important musical appointments at the cathedrals of Bristol and Exeter; Ellis, the second son, was organist of Salisbury cathedral, and is the composer of two madrigals in the collection known as the The Triumphs of Oriana. Orlando Gibbons, the youngest and by far the most celebrated of the brothers, was born at Cambridge in 1583. Where and under whom he studied is not known, but in his twenty-first year he was sufficiently advanced and celebrated to receive the important post of organist of the Chapel Royal. His first published composition "Fantasies in three parts, composed for viols", appeared in 1610. It seems to have been the first piece of music printed in England from engraved plates, or "cut in copper, the like not heretofore extant." In 1622 he was created doctor of music by the University of Oxford. For this occasion he composed an anthem for eight parts, Oclap your Hands, still extant. In the following year he became organist of Westminster Abbey. 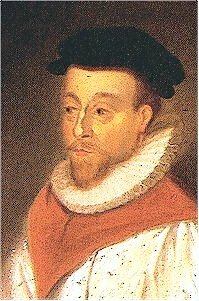 Orlando Gibbons died before the beginning of the civil war, or it may be supposed that, like his eldest brother, he would have been a staunch royalist. In a different sense, however, he died in the cause of his master; for having been summoned to Canterbury to produce a composition written in celebration of Charles's marriage, he there fell a victim to smallpox on the 5th of June 1625. For a full list of his compositions, see Grove's Dictionary of Music. His vocal pieces, madrigals, motets, canons, etc., are admirable, and prove him to have been a great master of pure polyphony. We have also some specimens of his instrumental music, such as the six pieces for the virginals published in Parthenia, a collection of instrumental music produced by Gibbons in conjunction with John Bull and William Byrd.